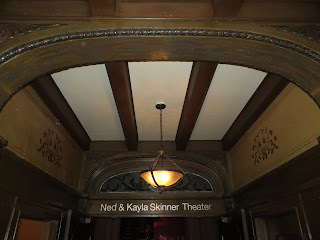 The Timberline actually closed in 2003 but I was able to go there on this night thanks to the Timberline Revisited event in the building that started as Norway Hall in 1915 and is now Raisbeck Performance Hall. The building hosted the City Beat disco starting in 1974, and shortly thereafter became the Boren Street Disco. 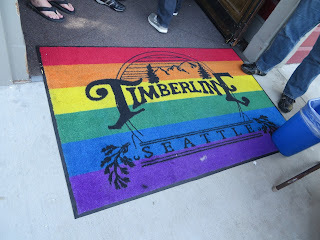 In the late 80s it was renamed the Timberline, a country western, mainly gay dance club, renowned for its 25 cent beers, free peanuts with shells thrown on the floor, Wednesday lube wrestling tournaments, country line dancing, and its Sunday Tea Dance. The music would shift to country at 9pm sharp. Women lingered on right side of the large dance floor and the men on the left. 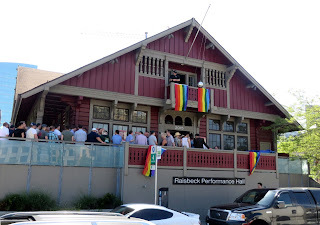 People who attended it back in the day describe a friendly, crowded place, less cruisy than some, but easy to meet new people. It had a short cameo appearance on the origional Twin Peaks as the interior of the Roadhouse Bar. 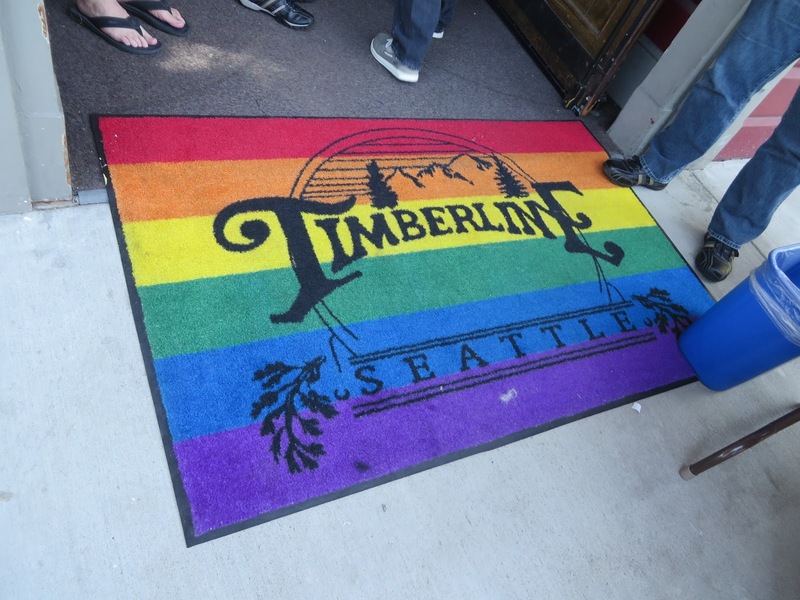 A bit after the last day at the original location in 2003, there was a shortlived attempt to revive it as Timberline Spirits at the corner of Denny and Yale, but this too closed in 2005. 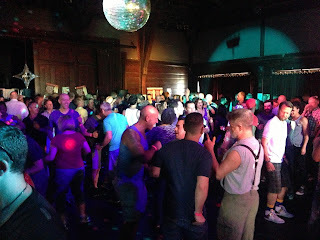 But the Timberline Revisited event that kicked off Pride month in Seattle in 2014 afforded those of us who had never attended the original club a taste of what it was like. 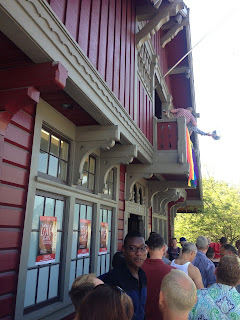 There was no country western to be found, but before noon the venue that officially holds about 200 people had a line down the block and around the corner (there were over 1,000 RSVPs on Facebook), and all those lucky enough to get in enjoying the flashbacks and 70s disco.